China's Visionox say they have started to mass produce the company's first AMOLED panel, a 5.5" display aimed towards the mid/high smartphone market. While the company did not reveal any technical specifications, it's likely that this is a Full-HD panel. Visionox's Gen-5.5 AMOLED line can currently produce 4,000 monthly substrate, and once yields stabilize they will reach a full capacity of 15,000 monthly substrates. Visionox is the latest display maker to mass produce AMOLEDs, following SDC (which currently produces 140,000 monthly Gen-5.5 substrates), China's EverDisplay (with a capacity of 15,000 Gen-4.5 substrates), and Taiwan's AU Optronics, also has a Gen-4.5 line but production volume is unclear at the moment. 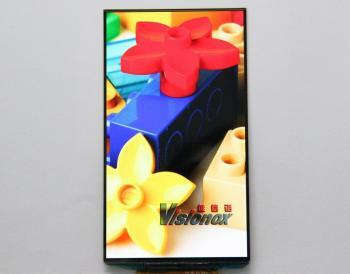 LG display is also mass producing AMOLED panels for TV applications and flexible AMOLEDs for smartphones and wearables.